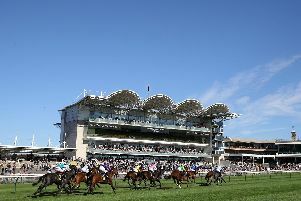 Eljaddaaf has hit the crossbar on his last two starts but can claim a deserved share of the Chelmsford spotlight by winning the Bet Trifecta At totesport.com Handicap. Adam Kirby maintains his partnership with Good Business in the first division of the Bet quadpot At totesport.com Handicap and he can follow up a recent win. Richard Fahey’s Sugar Coating looks the potential class act in the Bet Scoop6 At totesport.com Novice Stakes. Paddyplex can claim a nice prize for Keith Dalgleish in the Betway Handicap at Newcastle. Western Ryder flopped in the Tolworth last time but can get his Cheltenham Festival campaign back on track in the Sidney Banks Memorial Novices’ Hurdle at Huntingdon. Zipple Back is an eyecatching contender as he has his first start for Harry Fry, and his first outing since last May, in the Racing UK In HD Handicap Hurdle. OK Corral was turned over as an odds-on favourite at Newbury last month but his supporters can recoup some losses in Doncaster’s sunbets.co.uk Novices’ Hurdle. Beaten two and a quarter lengths by Yorkhill in a Punchestown bumper back in 2015, OK Corral looked as though he could live up to the hype when coasting home by 12 lengths on his first start in two years last May. OK Corral clearly has some questions to answer but the possible better ground on Town Moor would be a huge positive for him. CHELMSFORD: 5.55 Dor’s Law, 6.30 Rosedale Topping, 7.00 Good Business, 7.30 Bop It, 8.00 ELJADDAAF (NAP), 8.30 Sugar Coating, 9.00 Mister Music. DONCASTER: 1.55 Sharp Response, 2.25 OK Corral, 3.00 Three Ways, 3.30 Gunfleet, 4.05 Jurby, 4.40 Hurricane Rita. HUNTINGDON: 1.15 Wisecracker, 1.45 Free Range, 2.15 Western Ryder, 2.50 Zipple Back, 3.20 Glenforde, 3.55 Comely, 4.30 Never Go Short. NEWCASTLE: 2.05 Navajo Star, 2.40 Paddyplex, 3.10 Highwayman, 3.45 Stoneboat Bill, 4.20 Henpecked, 4.55 Ascot Week, 5.30 Mayfair Rock. THURLES: 1.40 Le Martalin, 2.10 Instant Smile, 2.45 Caltex, 3.15 Gran Geste, 3.50 Kesselring, 4.25 Swift, 5.00 Clinton Hill. TOWCESTER: 1.50 Before Midnight, 2.20 Dontminddboys, 2.55 Itsnonofurbusiness, 3.25 Aaron Lad, 4.00 Finish The Story, 4.35 Fearsome Fred.